Get your work done with Mahindra implements that are perfect to handle any job you need to tackle. You can count on us to stand behind our products with our knowledgeable people and support services to ensure that you are satisfied with your Mahindra purchase for years to come. Pivoting gauge wheels support broom weight. Parking stand to protect bristles when in storage. Interchangeable with blade and snow blower. Same drive kit as snow blower. Adjustable height 1 in. clearance will rake lawns, leaves, pine cones etc. 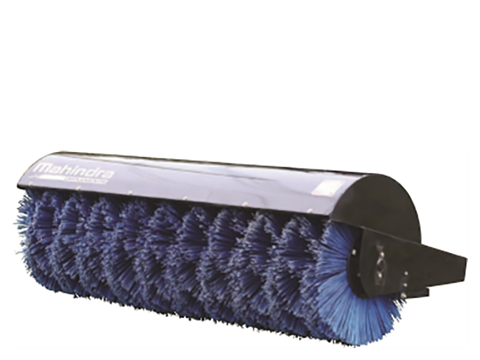 - with less clearance you can sweep snow and debris.